Venezuela’s unraveling socialist government is increasingly turning to ally Russia for the cash and credit it needs to survive – and offering prized state-owned oil assets in return, sources familiar with the negotiations told Reuters. 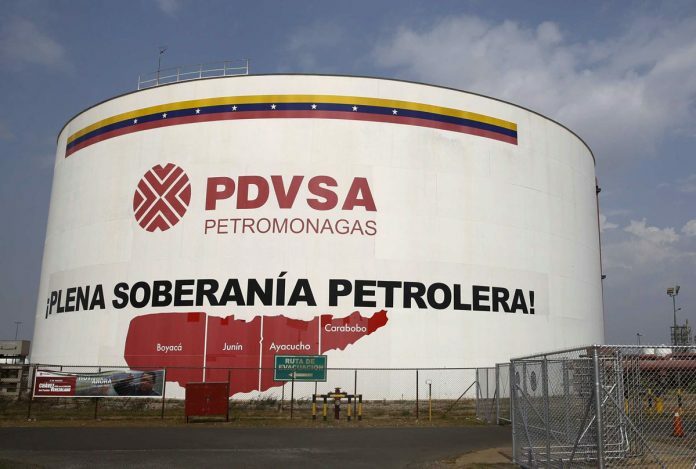 Venezuela’s state-owned oil firm, Petroleos de Venezuela (PDVSA), has been secretly negotiating since at least early this year with Russia’s biggest state-owned oil company, Rosneft (ROSN.MM) – offering ownership interests in up to nine of Venezuela’s most productive petroleum projects, according to a top Venezuelan government official and two industry sources familiar with the talks. Russia’s growing control over Venezuelan crude gives it a stronger foothold in energy markets across the Americas. Rosneft now resells about 225,000 barrels per day (bpd) of Venezuelan oil – about 13 percent of the nation’s total exports, according to the PDVSA trade reports. That’s about enough to satisfy the daily demand of a country the size of Peru. See a graphic detailing the decline of Venezuela’s oil industry. Rosneft is making the opposite play – using Venezuela’s hard times as a buying opportunity for oil assets with potentially high long-term value. As Rosneft staffers work in swanky offices alongside posters of Russian President Vladimir Putin and a bust of Hugo Chavez – the late Venezuelan leader and socialist icon – crowds of young men outside often throw rocks and Molotov cocktails in escalating protests of Chavez’ successor. Rosneft currently owns substantial portions of five major Venezuelan oil projects. The additional projects PDVSA is now offering the Russian firm include five in the Orinoco – Venezuela’s largest oil producing region – along with three in Maracaibo Lake, its second-largest and oldest producing area, and a shallow-water oil project in the Paria Gulf, the two industry sources told Reuters. Vladimir’s Venezuela: Leveraging Loans to Caracas, Moscow Snaps up Oil Assets. Venezuela’s unraveling socialist government turning to ally Russia for cash.